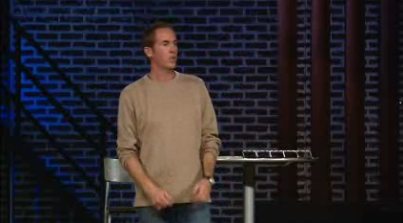 Christian Leaders like Andy Stanley inspire others with messages of God's love. Christian leaders inspire with messages of God's love through tweets on Twitter. An article by Amy O'Leary, published in the New York Times technology section yesterday revealed some interesting statistics discovered by the Twitter staff. but they tend to have more engaged followers compared to pop culture celebrities. When the Twitter staff, about 10 months ago, decided to research why some tweets were so popular and went viral, they discovered some influential leaders who were "not so well known" in their circle, but were actually "very well known" in the lives of many others. Christian leaders inspire with messages of God's love all the time and I think it is great they are using today's social media technology to extend their reach. The media should be used in a positive way, and clearly people are hungry for inspiration and encouragement, and ready to pass around those positive messages of God's love with others. LIKE, TWEET, SHARE & COMMENT below ... Did you find this news surprising or are you already one of the many engaged in inspiring others through social media? Related Post "Christian Leaders Inspire with Messages of God’s Love"